No Taranaki, Ngāti Raukawa, Ngarauru, Ngāti Ruanui, Ngāti Wehiwehi te iwi. Marjorie first joined the TKHA whānau in 2006. She returned from a secondment with the Ministry of Social Development (MSD) in October 2013. In her role as Service Manager - Social Services she is relishing the opportunity to work creatively with other staff. Sharing knowledge, skills, and experiences to reach a common goal for TKHA and the whānau they walk alongside. Her approach with whānau in her job is “People don’t care what I know – people just want to know that I care”. 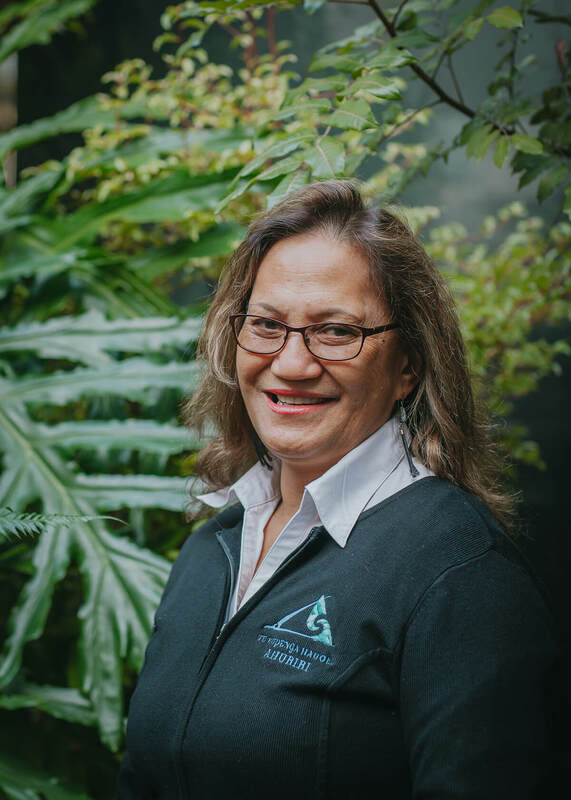 She has many interests including sports, art, culture and travel however her favourite interests are what ever her children and mokopuna are involved in. Marjorie makes it her business to know what they’re doing and get involved herself. Her greatest achievement in life so far is playing an active part in her grandchildren’s lives regardless of the choices they make.